Ringing in the fall holiday season with the fellas of Lead McEnroe. As always, $5 at the door and no drink minimum. The Broadway Comedy Club, 318 W. 53rd St.
Back with Lem and crew at Broadway Comedy Club for a night of great comedy. **No door charge** Two drink minimum. 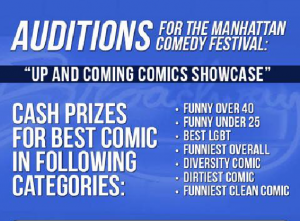 I am taking part in the industry room showcase at Broadway Comedy Club. More details to come.